Happy December and welcome to winter my friends. It’s cold here, which means lots of time spent inside with 2 little ones. Little Lady is in school 3 days a week, but we still have lots fo down time together. In the warmer months she would spend all her free time outside, but now that just doesn’t happen. 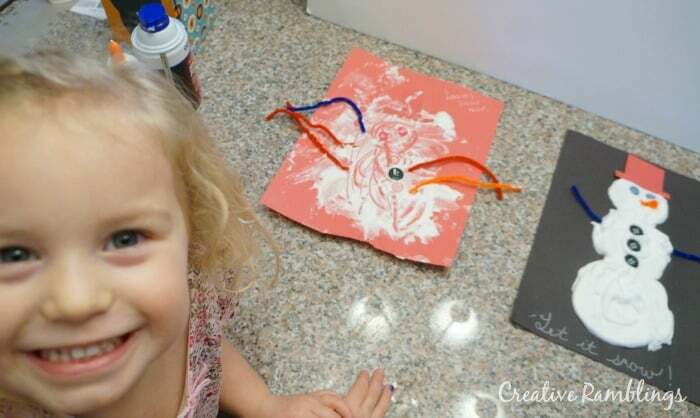 To keep her busy and for her to have a creative outlet in the winter, I need to have an arsenal of crafts and activities to pass those cold days. 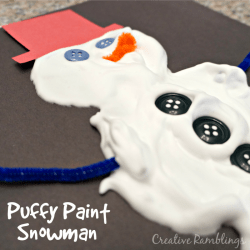 I am teaming up with some creative blogging friends to bring you Winter Activities perfect for kids cooped up inside on a cold day. I created a Puffy Paint Snowman with Little Lady. This is a simple craft that can done year round with any theme or color you choose. 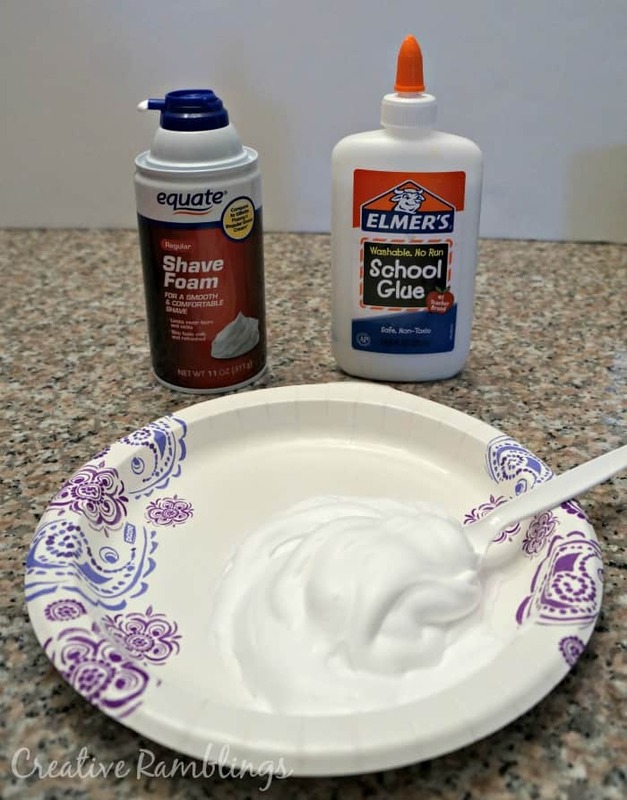 To make the puffy paint I combined equal parts of white school glue and foam shaving cream. Little Lady and I drew snowmen on construction paper then scooped up the puffy paint and spread it into our drawings. We added buttons, hats, and arms to finish the look. After about 24 hours these dry to the touch but stay puffy. 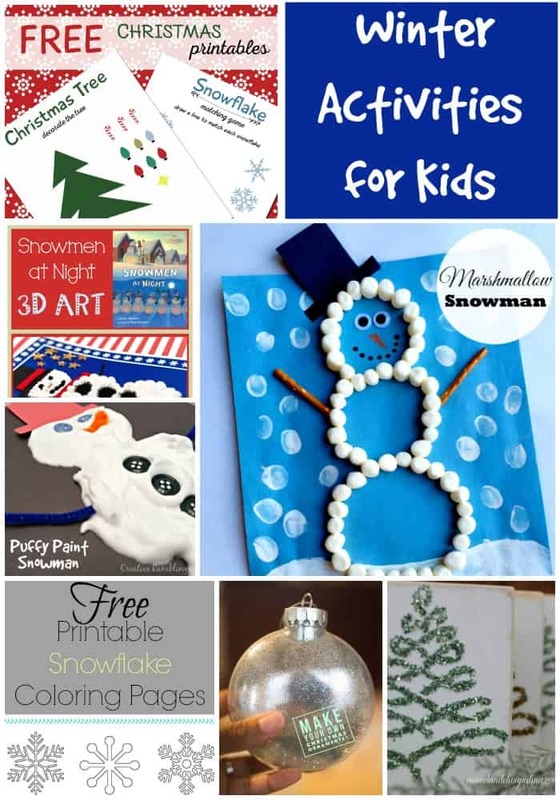 Be sure to take a look at these other creative kids activities and keep your little ones occupied this winter. I’ve never tried creating puffy paint. I love how simple this is to create + a blast for the kids! Thanks for putting this together, really enjoying everyone’s posts. I love the marshmallow snowman! So cute. Great roundup, Sarah. Pinned. I love the way the puffy paint looks! I bet kids would love to play with that! The marshmallow snow man looks like so much fun! I need to try this! Thank you, have fun with them! 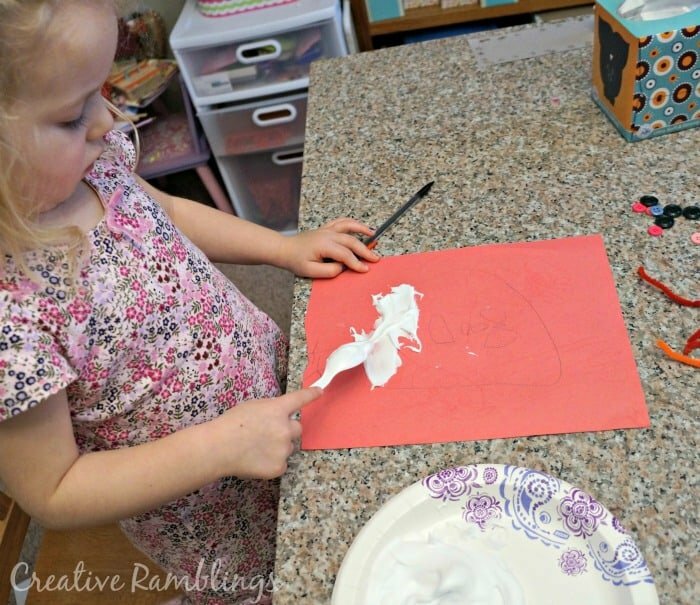 What a fun activity for little ones!